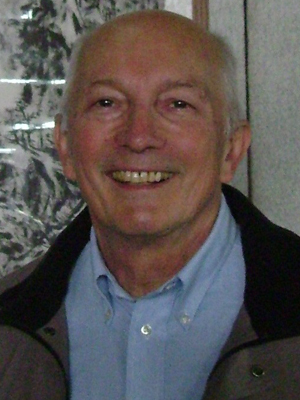 Vaclav Rajlich, professor of computer science in the Wayne State University College of Engineering, will receive the 2017 Distinguished Service Award from the Institute of Electrical and Electronics Engineers (IEEE) Technical Council on Software Engineering (TCSE), an honor bestowed annually upon an individual for outstanding and/or sustained contributions and service to the software engineering community. Rajlich’s award and several others will be presented at the 2017 International Conference on Software Engineering next month in Buenos Aires, Argentina. "Not only is (Rajlich) among the most active researchers in software maintenance, evolution and program comprehension, he is also the founder of the IEEE International Conference on Program Comprehension and one of the pioneers of the IEEE International Conference on Software Maintenance and Evolution, two of the oldest conferences in this field with very high and continuous impact,” said Rainer Koschke, chair of the TCSE Service Award committee. “His sustained efforts in promoting software evolution and guiding young researchers to focus on this highly practical and relevant research topic is an invaluable contribution to software engineering at large." Koschke also noted that Rajlich has served IEEE committees and programs in numerous roles, received multiple awards and been a keynote speaker on many occasions. Rajlich, who earned his Ph.D. in mathematics from Case Western Reserve University in 1971, is an editorial board member of the Journal of Software Evolution and Process and published a book, Software Engineering: The Current Practice, in 2011. His research focuses on software evolution and comprehension.